We’re living in an increasingly global world. That’s a world of interlinked international opportunity; a spiderweb of elaborate trade networks and complex supply chains. Understanding that world is vital to delivering an informed procurement strategy for your organisation. That’s why China’s hugely ambitious One Belt, One Road (OBOR) initiative could have such a monumental impact on how we work. This is a project with a truly global scope, a titanic transformation of our international trade networks that seeks to place China at its heart. The so called ‘One Belt’ constitutes a road stretching the length of Eurasia, from the east coast of China through the nations of ASEAN, to the distant northwest of Scandinavia. Southeast Asia is likely to play host to one of OBOR’s flagship initiatives with work already underway on a Pan-Asia railway stretching over 3,000km. Meanwhile OBOR takes to the seas with the (somewhat confusingly) named ‘One Road’ aiming to unlock a new maritime Silk Road. This maritime trade network will stretch from the South Pacific through the Suez Canal to the distant shores of Venice, Italy. When combined, the proposed OBOR region will encompass 3 continents, ~66 countries, more than 60% of the world’s population, about one-third of global GDP, and roughly 25% of all the goods which are moved around the world. That’s certainly an ambition which will shake up global procurement. To date China has spent an estimated US$300 billion on the OBOR project, with predictions that figure will increase by a staggering US$1 trillion over the next decade. That investment in growing trade is being channelled by a nation that already today is the leading export or import partner for 91 countries. As this investment unlocks trade in OBOR regions, global supply chains are sure to be opened up. Not least of those will be the surging demand for construction of the new infrastructure links that form the foundation of the project. OBOR is expected to boost steel demand alone by 150 million tonnes, which will mean a significant growth in demand and boost for the global mining industry. In China’s eyes one key shift in this supply chain will be a rebalancing of their reliance on shipments through the Malacca Strait. Over 80% of China’s booming oil demand currently traverses these waters. These seismic shifts could have a huge impact on industry within Malaysia and the region. Analysis of such a wide-reaching project is often complex and nuanced, but the overall view is that Malaysia is set to enjoy some significant benefits from the realisation of One Belt, One Road. When it comes to procurement, perhaps the most significant of those relate to infrastructure. The maritime Silk Road will require major investment in a series of new ports, something Malaysia is keen to capitalise on. One of the flagship infrastructure projects in Malaysia comes from the Melaka Gateway, a new world-beating port in which China is reportedly investing US$7.2 billion. A series of other ports across the country are also set to benefit. These huge infrastructure projects not only open up the potential for vastly increased capacity in key supply routes, but also raise the impressive possibility of substantial procurement requirements around infrastructure construction. That means greater demand, and greater opportunity. While the influx of Chinese construction firms in particular could raise challenges for some, the likelihood is that the wider impact on industry will be a positive one, particularly around infrastructure, and analysts predict domestic subcontractors will still benefit from growth. More widely the OBOR initiative helps encourage the positive growth of regional free trade, supporting and enabling easier cross-border commerce and expanded business opportunities. That’s particularly important for Malaysia and China, who are committed to achieving the goal of US$160 billion in bilateral trade over coming years. Growing focus on these trading arrangements means more frictionless supply chains for goods and services, enabling greater development of international trade structures. 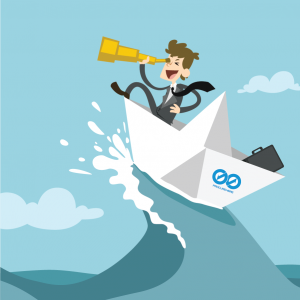 What does it all mean for procurement? The simple answer to a hugely complex issue can be summed up in a word – opportunity. The One Belt, One Road initiative is the largest global trade development project in history. That means opening up Malaysia and the region to an increasing global trade opportunity. In terms of procurement, that means simpler international trade, in a complex evolving landscape. Malaysian businesses need to stay competitive in order to keep up, that means utilising the latest technologies such as e-sourcing to ensure your organisation remains competitive on this expanding global stage. 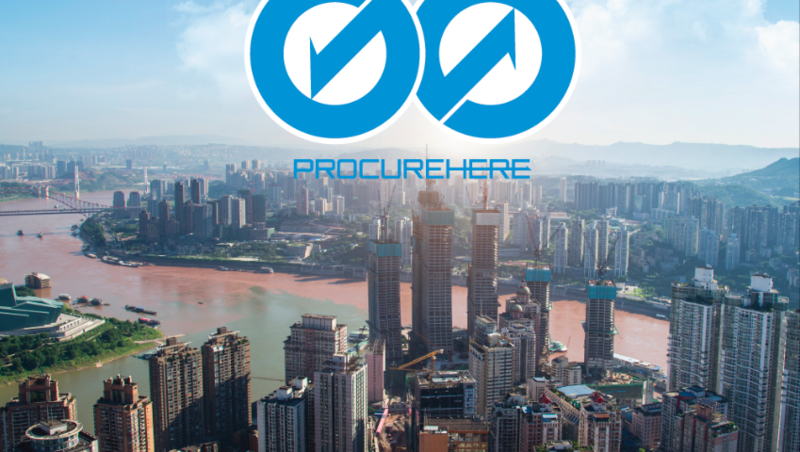 It also means that access to global suppliers through platforms like Procurehere will play an increasingly important role in the future. Ultimately OBOR is about unlocking opportunity. It’s about opening up an increasingly interlinked global trade network, where goods and services move more freely around the world. That’s something any industry can be excited about. The truth is though, like any opportunity, it’s down to you how well your business responds to embrace it.